Independent Order of Odd Fellows: Fraternal organization with a popular lodge once located in Oak Bluffs. Not to be confused with the Improved Order of Red Men nor the Royal Society of Good Fellows (both of which had lodges in Vineyard Haven), the I.O.O.F. was headquartered in the 1890s and early 1900s in the back of what’s now the Strand Theatre, sharing the space with a bowling alley. Members met every Monday evening for reasons that remain unclear. In 1917 a new Odd Fellows Hall was built on the corner of Pasque and Sea View Avenues, today occupied by the Lookout Tavern. 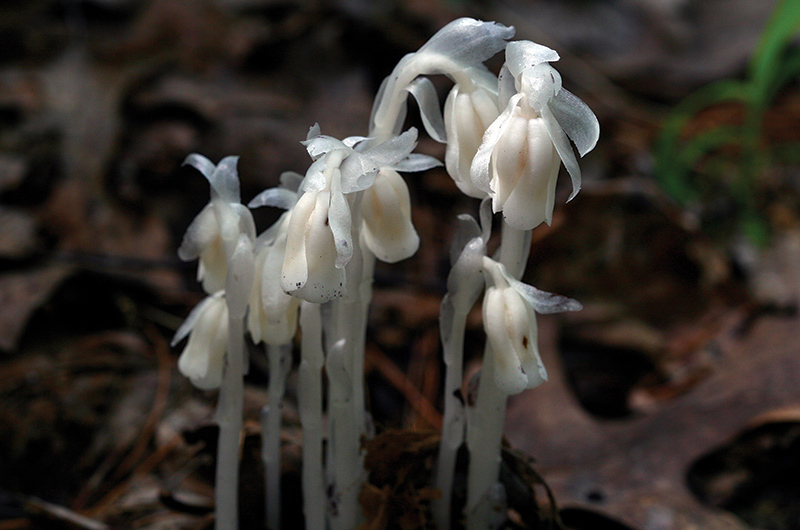 Indian Pipe: A native Island plant belonging to the same family as cranberries, blueberries, and rhododendrons, but which is a parasite that feeds off fungi growing in tree roots. As it lacks chlorophyll, it is ghostly white in color and will happily grow in the deep shade of Vineyard forests. A powder made from its roots was sometimes used in the nineteenth century to treat epilepsy. Iroquois Avenue: A picturesque street in West Chop, home to the West Chop Casino, the West Chop Post Office, and the West Chop clubhouse called the Cedars, all built between 1889 and 1900. Most of the streets in West Chop were laid out and named for Native American sachems (like Massasoit and Miantonomo) or Native American peoples (like Oneida, Cherokee, Algonquin, and Mohawk) reflecting a fashionable fascination with all things Native American at that time. Actual Vineyard Wampanoags, however, were not encouraged to frequent the casino or clubhouse. 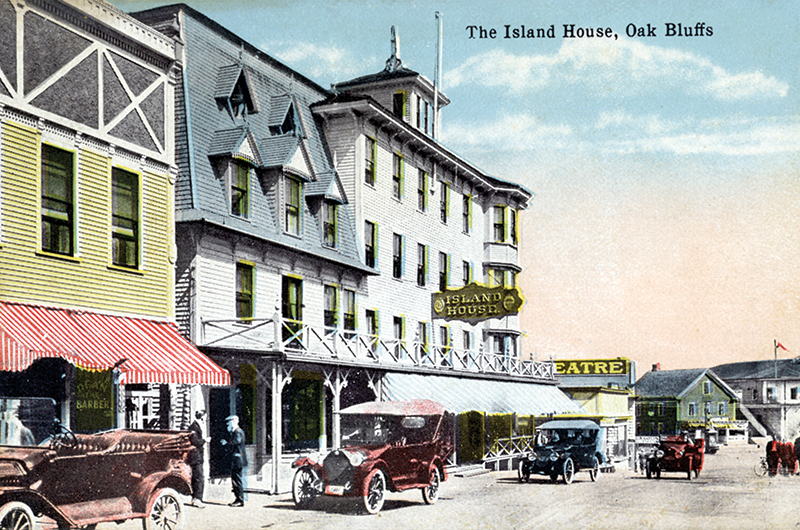 Island House: A storied Oak Bluffs hotel at the bottom of Circuit Avenue, assembled in 1872 from pieces of an even older hotel near the wharf. Operated until 1940 by three generations of the Hayden family, it was a massive and ornate four-story block, boasting eighty hotel rooms, a restaurant, and a bakery. 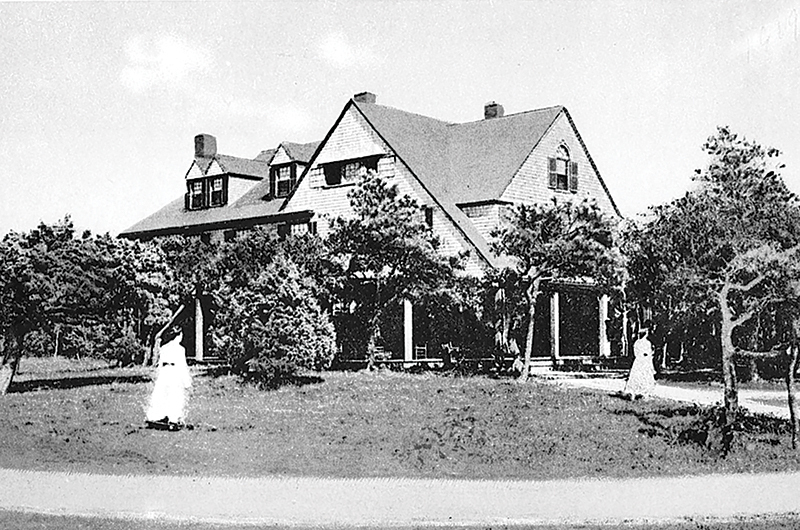 In 1909 the Island House held the only liquor license in southeast Massachusetts south of Taunton, employing “one of New Bedford’s best known mixing experts.” Thirteen days after the repeal of the Eighteenth Amendment in 1933, which ended Prohibition, it was again issued the Island’s first liquor license. The top two floors were removed in 1962, when it was (temporarily) renamed the Neptune Motor Inn.